It’s winter time. And in Vancouver, that means not seeing the sun for nearly 6 months straight. It’s also the time where people start talking about SAD, or Seasonal Affective Disorder, more openly. So I’d like to take advantage of this time of openness to discuss depression in more detail, and the possible signs and symptoms your body may be trying to communicate to you. Depression is a complicated and multifaceted illness where both causes and treatments remain controversial and debatable. However studies are starting to show how the entire body plays a role in the symptoms of depression. Studies show that chronic, low levels of inflammation in the body, measured in pro-inflammatory cytokines, interact with the immune and neuroendocrine system that are involved in regulating the body’s mood, activity level, and energy. Things like poor diet, alcohol, sugar, chronic stress, pathogens, and chemicals can cause low grade inflammation in the body. This study highlights how inflammatory markers activate the immune system and how these signals are transmitted to the brain and influence neurotransmitter activity and subsequent feelings of depression. Micronutrients play an important role in the regulation of all of our body’s processes and pathways. 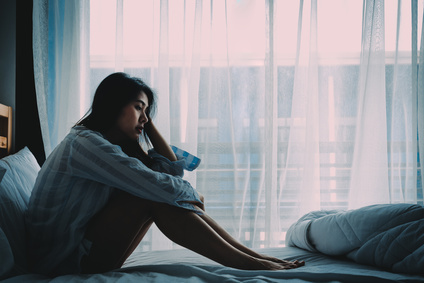 Several micronutrients (zinc, magnesium, and selenium) have been shown to correlated with risk of depression when measured in insufficient quantities in the body. Other supplements like omega 3 and B12, as well as vitamin D deficiencies have also been shown to correlate with higher instances of depression. Hormonal imbalance can also disrupt mood stability, such as dysregulated levels of estrogen and progesterone throughout the monthly cycle. Chronically high or low cortisol levels arising from adrenal fatigue often have an emotional impact. Thyroid issues also tend to be overlooked as both hyperthyroid and hypothyroid can cause symptoms like anxiety, moodiness, and depression. There are also links between birth control use and depression. Gut health has been shown to have an enormous impact on mood disorders. There has been more and more evidence of the gut-brain axis lately. One review showed that, “dysbiosis and inflammation of the gut have been linked to causing several mental illnesses including anxiety and depression” and introduces probiotics as a possible therapy tool. Studies show that diet has a huge effect on your mood, specifically eating heavily processed foods and foods high in sugar. Sugar also causes low grade inflammation and gut microbiome dysbiosis which are two other contributing factors to depression mentioned above. It is also well known that unregulated blood sugar levels associated with diabetes and pre-diabetes increases the risk for depression. High spikes and low dips of blood sugar during day to day life has an enormous impact on mood, and can trigger the body’s emotional stress response. Check out my guide to quitting sugar to learn how to regulate your blood sugar levels! Eating well, correcting nutrient deficiencies through vitamin IV’s and supplementation, low level laser therapy for gut dysbiosis and inflammation, regular acupuncture treatments, chinese herbal therapy, and lifestyle advice can be helpful tools for treating mild to moderate depression. If you have been feeling symptoms of depression and find it interfering with daily life, please book an appointment with your GP or speak to a healthcare professional.